We believe that our clients deserve exquisite service, so that they are able to confront the extremely demanding issues they face. We therefore choose to practice Law at only the highest standards of expertise. She was Special Expert at the Hellenic Competition Committee (1997-2000) and served as a member of the Hellenic Competition Committee (2000-2003). During 2007-2009 Alexandra represented the Hellenic Bank Association in the European Payment Council Legal Support Group. She has been Scientific Fellow at the Max Planck Institute – Munich on Innovation and Competition (1992-1994, 1998-1999, 2000-2001) and Visiting Scholar at UPenn (2010). Alexandra has also served as a member of law-making committees in the field of competition law, banking law, capital market law, trademarks, consumer protection and corporate law. In addition, she is member of the Academic Society for Competition since 2007 and member of the Association of Commercial Law Attorneys. 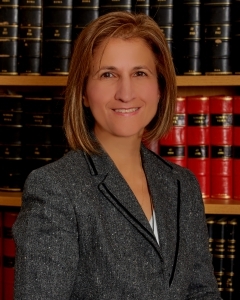 Alexandra has also served as a member of the Athens Bar Examination Committee (in the field of Commercial Law). Alexandra specializes in Competition Law, Corporate Law, Trademark and Patent Law, Securities Regulation and Banking Law, while she retains regular contact with the Hellenic Competition Commission, as well as all other relevant public institutions and ministries. Alexandra Mikroulea is Associate Professor of Commercial Law in the Faculty of Law at the Athens University. She also works in the Legal Unit of the National Bank of Greece as Head of the Competition Law Department. Alexandra is the author of several books on Competition Law, Banking Law, Corporate and Commercial Law, has published numerous articles in Greek and international law journals and is a regular speaker at conferences in Greece and abroad. Nikis Avenue & 1, Morgenthau st.